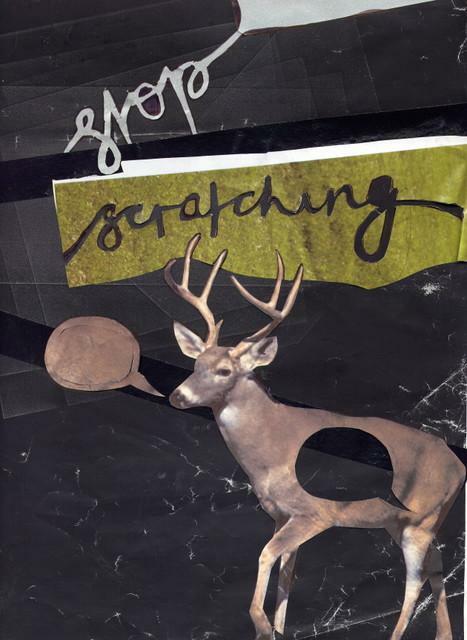 stop scratching: yes we can. powerful words from the man who captured not only the hearts and the hopes but the doubts and the fears of not just the american people but the world over and overcame all the obstacles all the ignorance and sits now in the oval office atop the dawn of a new age in not just american politics, but history itself. we here at stop scratching couldn't be happier that at 4.00am today barack obama clinched the all important 270 electoral colleges and became the 44th - and not to forget first african-american - president of the united states. today america has risen above the cliches and the stereotypes and proved to us all that it's more than just a nation of obese, ignorant idiots and have voted in possibly the most exciting politician of recent times, one who promises change in america, which i'm sure will inspire change in the rest of the world, change that i for one, welcome with open arms. i'll bet that today, for the first time in a long while, is a proud day to be an american and if i had a glass right now i'd raise it to them, to barack, to democracy and to a seemingly brighter future. click here to watch barack's acceptance speech in full. meanwhile, as the rest of the world is caught up in election fever and history is preparing to be written i've been spending as much time as i can this week watching the writers of arguably my favourite album of all time, why? playing live in both oxford and london. that's something one doesn't get to do every week so i figured i'd make the most of it. on monday i travelled to the regal in oxford with alex and sally, we set out early so we (sally and i) could enjoy the sights and tastes of it's offerings and so that alex could swoon over a new lady friend. after walking around in an attempt to and failing at finding a decent charity shop we decided to settle down for a few drinks in a quaint little old fashioned hole in the wall named the white horse and after ordering beer and mulled wine we took a seat at a table which was opposite to one seating none other than the mighty boosh's julian barret (& the american one with the funny voice. sorry, i'm not the biggest fan). we decided to stay for food as the prospect of 'oxfords best fish and chips' was one i felt i had to get involved in. sally had her whole meal in a yorkshire pudding, which apparently is a very exciting and tasty way to eat your dinner. the fish and chips while they were great, left me wondering how average the rest of oxfords fish and chips might be (perhaps someone could enlighten me here?) and definitely failed to make the top 5 in my opinion. after food we noticed that the bar had a very appealing and unique feature in that of a carton to take home 2 pints of your favourite ale/cider/draft, this is also something we now felt obliged to take part in so we opted for addlestons cider and black to take away, a brilliant choice until i spilt the majority of mine all over the streets of oxford. the first support, whose name i forget, were okay but they seemingly wanted to be architecture in helsinki way beyond citing them as an inspiration and their abundance of people/instruments on stage mostly just sounded cluttered and unnecessary. i actually fell to sleep during jonquil, that says pretty much everything about what i think of their music and their performance, the music sounded to me a little as if it wanted to be a british arcade fire, the vocalist as though he wanted to be morrissey or something, it all ended up sounding a little to much like keane, or something else frustratingly middle of the road. the dead science were shockingly uninteresting, the vocals were irritating and pointless and despite the drummer being incredible, they failed to realise his brilliance and instead opted for a rather insignificant minimal approach and succeeded in only boring the hell out of me and everyone i spoke to about them thereafter. i realise these are all quite unjustified ways to sum up those bands but none of them captured my attention nearly enough for me to write anything more, apologies. so with all these poor to average bands and performances as the only ground to stand on tonight, and despite my childlike anticipation and excitement, i can honestly say i wasn't expecting to much from the ohio quartet, (which coincidentally started as one of the major deciding states in barack's battle to take the whitehouse) now in hindsight i believe they undoubtedly played the most exhilarating live show i've seen this year. the sound in regal was one that perfectly captured all the intricate beauty of yoni and co's music while still managing to be loud and clear enough to immerse you completely within the performance. in a time when every man and his dog is using/abusing any instrument they can get their hands on in order to create their own abstract version of what pop music should be why? shine like a beacon to all these budding would-be instrumental whores and proceeded show everyone exactly how it should be done with their infectious, multi-layered hip-pop. i can't remember feeling that level of excitement upon hearing the opening note or vocal of a song taken from an album i've listened to religiously for the last couple of years probably since i saw something corporate play at the irish center in birmingham about 6 years ago. i found myself singing along at the top of my voice without even realising it, which then made me notice that not many other people in the crowd seemed to be enjoying themselves as much as myself. this then brought to mind the question, is it uncool to sing along at gigs now? my guess is it probably is, everything is looked upon with to much cynicism in this day and age, gone are the times when we could just let down our metaphorical locks and let loose with a complete and selfish disregard, i write of course from solely my own perspective. tonight though, i managed to recapture some of this youthful vigor, just as japanther had helped me do last month, and it fills me with hope that live music is returning to the days of old and i think i probably have a certain move to london to thank for me renewed faith. so, thank you. the future certainly is looking very bright today. Labels: barack obama, live review, why?